Kenzo is fantastic! We decided to visit Kyoto & a local guide seemed best for us. We discovered Kenzo & having excellent reviews and qualifications, quickly booked him. Kenzo was a great choice. His knowledge of Kyoto (& Japan in general), the places to see & the ways to get there was excellent. He tailored our Kyoto tour based on our mobility & interests. His enthusiasm ensured a very memorable experience. Note, Kenzo hosts tours in Kyoto, Osaka & Nara & we will definitely use his services again. Kenzo was very knowledgable about local markets and the name of the different kinds of fish that were being sold there. He even knew how to prepare some of the local delicacies. He was also very helpful in finding the answers to some of our questions. 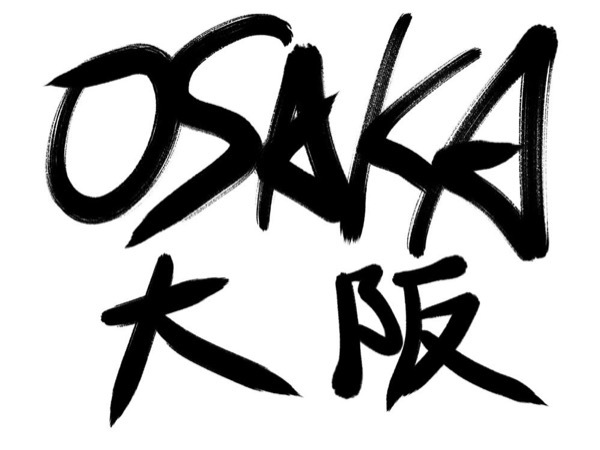 I would most certainly request him again on my future trips to Osaka. My niece had a great time in Kyoto with Kenzo as guide. Kenzo was very helpful especially to my 17yo niece who was a first time traveller to Japan. He had information on almost all the places that my niece wanted to see. He also was quite flexible with time and went the extra mile on some of our "instant" requests. He also had a good sense of humour and good command of English. Friday 11th Full day with Kenzo. Kenzo was a great guide full of knowledge of the local Kyoto area. We had a group of 4 adult s and 6 children. Kenzo answered questions so the children could understand and relate to, which was terrific. The UNSECO listed Tenryu-ji Temple Kenzo walked us through was unexpected but a fantastic addition to the day. We covered allot of ground and the whole day ran smoothly thanks to Kenzo pre planning. Highly recommend. We are a family of four with two boys ages 8 and 13 years old. Our tour of Nara with Kenzo was perfect. Nara is an amazing place that we couldn't have seen and experienced everything without Kenzo's wonderful guidance. We appreciate the excellent tour that Kenzo provided and will cherish the memories. He is not only a wonderful tour guide, but a great person. We also did a bicycle tour of Kyoto and a full day tour of Kyoto with Kenzo and truly loved all the tours. We highly recommend him. Thanks Kenzo!! We are a family of four with two boys ages 8 and 13 years old. Our tour of Kyoto with Kenzo was perfect. It was an amazing day and we couldn't have seen and experienced everything without Kenzo's wonderful guidance. We appreciate the excellent tour that Kenzo provided and will cherish the memories. He is not only a wonderful tour guide, but a great person. We also did a bicycle tour of Kyoto and a full day tour of Nara with Kenzo and truly loved all the tours. We highly recommend him. Thanks Kenzo!! We are a family of four with two boys ages 8 and 13 years old. We spent two weeks in Japan including going to Tokyo Disney and Disney Sea and this tour with Kenzo was one of the highlights of our trip. It was an amazing day. We appreciate the excellent tour that Kenzo provided and will cherish the memories. He is not only a great tour guide, but a wonderful person. Afterwards, we had two more full days of touring Kyoto and Nara with Kenzo and truly loved all the tours. We highly recommend him. Thx Kenzo!! Kenzo's bike tour of Kyoto was excellent. He took us to local neighborhoods and private photo opps at popular tourist locations away from the crowds we never would have found on our own. He was very thoughtful and even gave us recommendations for places to eat and things to see on our own after the tour ended. Would highly recommend Kenzo as a guide. Kenzo-San was such a wonderful tour guide and our new friend. He is super friendly and patient with my very energetic and inquisitive six year old boy. On our tour, we enjoyed the scenic routes as well as the wild journey through the beautiful forests of Kyoto (per my child's request :)). We not only made happy memories learning about Japan, but also enjoyed delicious food and company. We highly recommend Kenzo-San to anyone who is looking for a nice tour guide to Kyoto. Helllo we were pleased with Kenzo. Very professional guide. Absolutely 5 FIVE STARS. Thanks for your tour. Highly recomended guide and tour. Kenzo was a wonderful tour guide and we (family with kids ages 10-13) can't think of a better way to explore this beautiful city than on a bike tour! Kenzo was fun, very knowledgeable and very accommodating and took us to places we would never have seen otherwise! I would highly recommend a bike tour and highly recommend Kenzo (we booked him for a full day tour the following day too - he is an amazing tour guide!) Thank you Kenzo!! Kenzo is great - four hours on electric bikes, delivered to our door, with a tour that had time to stop and enjoy the cultural aspects of Kyoto, great with the teens, and the kids still talk about this activity - highly recommended. Kenzo brought my bike to the hotel and waited for me to show up (I was a little lost). I had a wonderful time riding to temples and shrines. All the way, he was helping me polish my beginner Japanese language skills. Kenzo, not only is a delightful host, he has a treasure of history and culture to share. We went at a comfortable pace. Time to sit and take in the beauty and peace of a temple garden, and then off again swooshing down back side streets. I've never had so much fun! Kenzo, you're awesome! Our large group of 9 were all so impressed with Kenzo. He was very prompt, very knowledgeable, answered all our questions and had a wonderful knowledge of the sights we visited together, he is also very kind, patient and wonderful with children (we had 5 with us). He went out of his way to help us to our next destination which we truly appreciated. Would highly recommend Kenzo as a guide. Thank you Kenzo for all you showed us and helped us with. Excellent. Kenzo was relaxed company for the day. He has great English and a good understanding of Kyoto which he generously shared. He was able to customise his tour to suit our active family and even magically found a little distance from the many other tourists throughout the day. I recommend him without any reservation. Fabulous English. Brilliant hot-tip for spotting geisha. Catered well for everyone in our group from 8 yr old to parents to grandparents. Kenzo was a wonderful guide. He was very accommodating to my group's request for changes in the itinerary at the last moment. He was very perceptive at understanding what we enjoyed and then going to lengths to provide that type of experience. His English is excellent. He would provide us with detailed history or other information (along with tables, photos, graphs) but also give us space to enjoy the moment on our own terms. Best guide ever! Kenzo was a wonderful guide. He put together a perfect itinerary based on our timing and interests. He has a thorough knowledge of the sites and their history, and presents it all in a very engaging way. He's a delight to spend time with. I highly recommend Kenzo and any tour he offers. We, the group of 3, had a great time in Kyoto. My parents are 70+ so we need a comfy and slow tour. Surprisingly, with the expertise of Kenzo, we could make it to 7 places including Kinkakuji, Ginkakuji, Fushimi Inari, Gion, Sanjusangendo, Ninansaka and Sannensaka. Kyoto is super! In addition, Kenzo is very knowledgable, flexible, polite and taking great pictures ;) In sum, highly recommended! TOUR GUIDE RESPONSE: Thank you Peter-san for the 5-star rating!! Had an awesome day with Kenzo! He showed me so many cool things in just a day! TOUR GUIDE RESPONSE: Thank you Ava for the great review! It was such a cold day but I’m so glad to know that you had a good time in my tour! Maybe “Tendon” lunch was one of the best parts, haha! TOUR GUIDE RESPONSE: Thank you Brent san for the 5-star review!! TOUR GUIDE RESPONSE: Thank you so much for the wonderful comment about my service! I’m sure for leading many people you also had spent so much time for planning and scheduling. I’m glad that I could help you a little bit. The train cancellation was very unexpected thing but I was relieved that you all managed to get to Nozawa onsen for skiing. Kenzo-san was a wonderful tour guide! From the moment we saw him, he was so warm and friendly. We did the bike tour which was relatively flat, with a few slight uphills. Kenzo-san stopped at less crowded places - truly displaying the charm of Kyoto. We appreciated his patience (I was a bit slower of a biker), knowledge, and humor and would highly recommend his tours! We learned a lot! PS, he took us to the most delicious, flavorful ramen place towards the end. Thank you for a wonderful day, Kenzo-san! Kenzo provided his excellent professional knowledge and advice that more than we expected throughout the time we stayed. Communicating with English was never a problem between us. We couldn't have a wonderful time without Kenzo's help through this part of our trip. Thank you Kenzo. We had a wonderful day with Kenzo as our guide. He was very informative about Japanese history and culture, and a lot of fun to talk to. Our best day in Japan so far! TOUR GUIDE RESPONSE: Thank you Trish san for coming to Kyoto and joining my tour! It was the final tour in 2017 and I was very glad to conclude the year by such wonderful memories with you all! Wow what a day! So many memorable places we visited with Kenzo in Kyoto! Kenzo was so lovely and patient with our children aged three and six years old. Great use of walking/train/taxis on the tour to reach all our sites. Great local knowledge and very patient with all our questions. Although you need more than one day in beautiful Kyoto this tour is very well planned if you are short on time. Kenzo is also a great photographer! Kenzo was such a great tour guide, we thoroughly enjoyed our 2 hour tour. I was concerned we might be rushed, but it was perfect! Kenzo had the tour well planned, and he was able to answer all of our questions, explain about the sites we visited and about Japanese customs. Kenzo also showed us how to write our names in Katakana, and have us a card with simple phrases in Japanese which made the tour a little more special :) Thank you again Kenzo, we hope to book another tour with you in the future! TOUR GUIDE RESPONSE: Domo Arigato~ Caitlin-san! Yes in just 2 hours, we could have done many things! Haha! I look forward to seeing you again in the near future! Kenzo's tour of the countryside around Kyoto was fantastic. The scenery is beautiful, and he took us to out of the way paces not heavily touristed, including a great Wagyu beef restaurant attached to a butcher shop. TOUR GUIDE RESPONSE: Thank you Peter for your great feedback!! I’m very glad that you two have enjoyed both scenery and Wagyu beef! We had a great day with Kenzo. Our pre tour e-mail exchanges was indicative of his desire to make our tour a most memorable one. During our tour, he allowed us to walk slow and enjoy the beautiful autumn foliage of Eikando temple, philisopher's path, Ginkakuji, and Kyoto Imperial Palace. He talked well about history and we learned a lot. He was very caring guide, even offered to carry our footwear while touring the temples. We enjoyed our unagi lunch at this nice restaurant. I wish to book him again. TOUR GUIDE RESPONSE: Thank you so much Grace for very positive review on my tour!! I’m very glad that you have enjoyed beautiful autumn Kyoto on that day. The Unagi restaurant I took you to is my favorite. Glad that you liked it too ;-) See you again in the near future! Maybe Sakura season?? Kenzo was fantastic! He was very knowledgeable and made our tour lots of fun. He was great with the kids and made sure the pace was suitable for them. I would not hesitate to recommend him and hope to return to Japan and tour with him again. TOUR GUIDE RESPONSE: Thank you so much Kim!! I had a great time with you and your family! I really appreciate your great review with 5 stars. I look forward to seeing you all again in Kyoto or Kobe. This is the second tour with Kenzo and it was a relaxing day out in the country with leisurely walk around the villages houses. My friends and family enjoyed it very much. My mom was most impressed with the wonderful lunch arrangements made by Kenzo. Thank you for the great tour. TOUR GUIDE RESPONSE: Anna, Thank you so much for your second great review!!! I’m very glad you all (especially your mom!) enjoyed the local beef lunch! ! We enjoyed our day out with Kenzo. He is a polite and jolly young man and was really patient with our blind mother when we moved around slowly. He even find easier and less crowded path for us. Lunch arrange was authentic and excellent. Thanks for a great day out. TOUR GUIDE RESPONSE: Thank you so much Anna! It was very fun tour driving you around Kyoto! Kenzo was an excellent cycling guide, as well as very knowledgable about art, philosphy, and general world knowledge, in addition to being a great guide to Kyoto. Cycling was super easy, safe, and we look forward to another trip to Kyoto in the future! TOUR GUIDE RESPONSE: Thank you so much Paul! We had a long bike ride on that day! When you come back, let’s go even farther! We really appreciated how responsive Kenzo was to the things we were interested in and our level of cultural familiarity. Walking the backstreets and quiet gardens were some of our favorite parts, and he really took the time to explain things to us and ensure we were enjoying ourselves. He taught us how to use the bus system (so helpful for the rest of our stay in Kyoto!) and introduced us to obanzai. 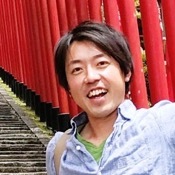 Kenzo is an excellent guide, and we highly recommend him to anyone staying in the Kyoto area. TOUR GUIDE RESPONSE: Dear Audrey, Thank you so much for the 5-star review on my garden tour! It was very nice to know that you enjoyed Kenzo style tour, walking though the backstreet and eating at a local Obanzai lunch! I’m sure that you could enjoy Kyoto from a local view point in the rest of your stay. Again thank you so much! Hope to see you again in the future! We had a lot of fun following Kenso on his tour. His explanations were perfect and the garden well chosen. Don't hesitate to book a tour with him! TOUR GUIDE RESPONSE: Thank you very very much for your comment and great review for my garden tour!! I was so happy about guiding people like you two who have great interest in our tradition and culture. I really hope you will keep having fantastic stay in Japan and look forward to seeing you again. We were lucky to have Kenzo showing us around Kyoto. We have a 1.5 yo baby and he has been very patient and thoughtful with us. He made our trip so comfortable and relaxing, and we did not have to worry about much touring around. He even squeezed an extra tour around Nara for us at the last day which we never thought that would be possible. We left some paper in his car and he even drove back to the hotel and returned it back to us. What an amazing guide and friend! Highly recommending him!!!! TOUR GUIDE RESPONSE: Domo Arigato Chris, Christine and Austin!! The time we spent together in Kyoto and Nara is my treasure! See you again in the future! I'm so grateful Kenzo was flexible enough to agree to my special request to guide me on a morning run of Kyoto. He led me to the most beautiful sights. He planned the run route and emailed it to me in advance, he was in good touch via email in the days beforehand, he was early and ready for the appointment time and was a perfect guide for my run. I'm so happy with his service and so grateful to kenzo. I recommend him wholeheartedly. Thank you Kenzo! He made our trip very enjoyable eventhough it was raining. TOUR GUIDE RESPONSE: Thank you so much for the best rating Robert! Kenzo kept in touch with us right up to the day of the tour. He showed up at our hotel on time and off we went. Kenzo speaks very good English and knew a lot about Kyoto and the surrounding area. Anything we asked about Japan or its culture he was able to answer. Spending the day with Kenzo was fun and relaxing, it was like hanging out with an old friend. I highly recommend using Kenzo if you are visiting that part of Japan. TOUR GUIDE RESPONSE: Thank you so much Heath for such a warm comment! "it was like hanging out with an old friend." I really liked this!! Thank you again!! We all had a great day with Kenzo, he took us all over Kyoto. I highly recommend Kenzo for anyone who wants to see the sites of Kyoto. A really enjoyable morning with Kenzo. He found our hidden machiya and brought along a couple bikes for us. We quickly got our orientation within Kyoto. He took us to some wonderful temples and took time to explain the hidden meanings. We showed us how to get to places we wanted to see later in the week. We had an exhilarating dash up the river. Our favourite place was Vermilion Cafe. Highly recommended. Really enjoyed our tour with Kenzo. He is very friendly, fun and knowledgeable and was very keen to help with ideas for the rest of our trip. Highly recommended. TOUR GUIDE RESPONSE: Thank you so much Tomas for the great review!! Kenzo was a fantastic guide, and I greatly enjoyed the izakaya tour. I learned a lot about Japanese food and pub culture, and Japanese culture in general, and was able to visit pubs I otherwise would not have known about or been brave enough to go to by myself. It was a great way to spend a Monday night. He also had excellent recommendations on other places to go while in the city. Very highly recommended! TOUR GUIDE RESPONSE: Thank you so much Lucy for such a great review for my Izakaya tour!! I really enjoyed eating, drinking and having chat with you. See you next time in Boston or Japan again! TOUR GUIDE RESPONSE: Thank you so much for your review Keld-san! Kenzo is a wonderful, knowledgeable guide, we highly recommend him. English is superb! TOUR GUIDE RESPONSE: Thank you so much Lisa for bringing a good fortune to enjoy cherry blossoms!! Kenzo is a great guide. We were able to visit 2 Izakayas that we would never have found on our own or felt comfortable entering. We also learned a lot about Kyoto culture from him. Highly recommend. TOUR GUIDE RESPONSE: Lauren, Thank you so much!! Great guide! Great English skills and very adept at explanations . Would gladly engage services again. Absolutely the best fun you can have in Kyoto!! Thanks to Kenzo we tried great food, sake and beers, and met wonderful people that we would not have been able to on our own. If you have only one tour in Kyoto, do this one!! Kenzo makes sure the evening is fun and interesting, HIGHLY recommend this tour! TOUR GUIDE RESPONSE: thank you so much Victoria for the great comment about my Izakaya tour!! We were so lucky about the people we met at Izakaya! I didn't do anything. You just brought special connection to the local Kyoto people! Thank you again and hope to have another chance to drink together! Kenzo was one of the best guide I have had in multiple years taking tours. He made our day one to remember for years. Thanks Kenzo! Kenzo was a wonderful guide who made sure that our day in Kyoto was fun, informative and interesting. His deep knowledge of Japanese culture, customs, religion and history was impressive. It was definitely worth the investment to have him as our private guide. Thank you Kenzo for a wonderful day!!! TOUR GUIDE RESPONSE: Thank you so much for being my final guests of 2016! In a short time, we saw a lot of things! I hope to see you again and I want show you more!! Kenzo was an excellent guide and his knowledge of Kyoto was extensive. He was able to plan a great introduction to Kyoto's main sites with variation due to our requirements. It was a fun and informative day making Kyoto and Japanese culture and history come alive. Highly recommended. TOUR GUIDE RESPONSE: Thank you Meg for the wonderful comment!! Enjoy your stay and I look forward to seeing you soon again! Kenzo was great fun and took us to some lovely places. You can agree with him what you want but need to do this in advance as many bars/ restaurants have to be reserved so don't leave this until the last minute. A great tour for a fun evening and good value. Kenzo was awesome for a full day private tour of Kyoto for me and my husband. The weather was rainy and cold and he still planned a full day for us by taking taxis and trains so we would stay dry and warm but still get so see all that we wanted. He was very knowledgeable of everywhere we went and took us to amazing Raman for lunch! I highly recommend Kenzo! Excellent and efficient guide. We covered a huge number of sites. Friendly and knowledgeable. Kenzo is a Great guide. Fantastic trip by Kyoto. I will recommend Kenzo to all my friends that go to Kyoto. TOUR GUIDE RESPONSE: Thank you so much Raul! Yes please!! I'd like to see more guests from Spain! Also congratulation for Real Madrid!! It was such a nice game. You must have had a lot of fun! Although, Japanese team, Kashima Antlers wasn't that bad right?? Kenzo is a very engaging tour guide and walking with him through the Nishiki market was a great foodie adventure. He introduced us to hidden (for us) gems and we were able to try different foods, which made for a fabulous combination. I wish I could do it again !